Remember, remember the 5th of November – Fireworks are on their way. My daughter loves fireworks – always has – so I am usually aware that fireworks night is around the corner. This year though, I am even more aware than normal – because I have just got a dog. He is young and he is skittish (gorgeous, but totally bonkers) so how he is going to react when the bangs and crashes start is a bit of a worry. WHAT ABOUT MY POOR DOGGY? Luckily, I am aware of a number of natural remedies that we have used over the years to help other dogs cope with the stress of fireworks. So, I thought this week I would share with you the things that have helped other pooches over the years – just in case your dog is likely to be scared/jumpy/ too. Dogs share a lot of characteristics with us – they also respond very similarly to natural remedies. So for years now, we have used remedies to help dogs, which we would use for humans with the same problems. There are two products which we have used time and again over the years to help with stress, excitement and terror in dogs. 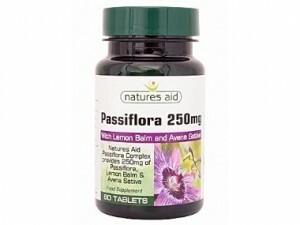 These are Natures Aid Passiflora, Lemon Balm and Avena Sativa tablets and Jan De Vries Emergency Essence. 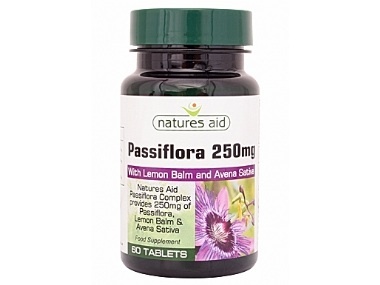 The Natures Aid Passiflora, Lemon Balm and Avena Sativa tablets, unsurprisingly contains the three ingredients named on the packet (passiflora, lemon balm and Avena Sativa). These three ingredients have been used for years by herbalists trying to help people struggling with stress and anxiety. They have also been used by a vast number of dog owners in Morecambe who have come to ask what might be helpful for their hounds. The feedback from the humans who use them and from many of the dog owners who have tried them, has been consistently good over the years. We have actually never been tempted to change our suggestion of remedy for fireworks because so many dog owners have sworn to us that taken in advance, this remedy seems to calm their pet down and help them to cope with the noise of that night better. I will say though that generally it is a good idea to try and start your dog on them as soon as possible. The effects of these type of remedies tend to be accumulative – the longer they are taken, the better the results. It is for this reason that we also tend to suggest using the Jan De Vries Emergency Essence – a remedy, as the name suggests, to be used in emergency situations. This product can be helpful ‘in the moment’. It is often used for people who have just had a shock to help them calm down a bit – and again the effects are the same in dogs. I am going to be stocking up with both products – something to calm my little lad down a bit, so he deals with the (let’s face it several nights of) fireworks better and something to have on hand, should it all seem to be getting a bit much on the nights themselves.